I always love writing for the International OCD Foundation blog because it makes me feel connected to the wider OCD community. Last week they posted my latest about following your own path to recovery and not relying on just one piece of advice or person to guide you. What do you think? Have you found any benefit to getting advice from a range of resources? It’s Tuesday already! Welcome back. This week I’m hosting Dr. Gail Bernstein, who specializes in child and adolescent psychiatry at the University of Minnesota in Minneapolis. Parents, this Q&A is for you—especially so if you live in the Twin Cities. Your children are not alone, and there is hope for them! Dr. Bernstein is brilliant and kind and has dedicated her career to helping kids and teens with OCD and anxiety disorders. Are there certain symptoms among children that are more common than others? The most common obsessions in children and adolescents with OCD are worries about contamination (e.g., germs and dirt) and aggressive thoughts (e.g., fears of harm to self or others). The most common compulsions are checking (e.g., that doors are locked, everything is in the child’s backpack, oven is turned off) and excessive hand washing. Children are more likely than adults to show OCD symptoms of hoarding (i.e., excessive acquisition of objects and difficulty throwing the objects away). Sexual and religious obsessions are fairly common in adolescents with OCD. I wasn’t diagnosed with OCD until my mid-20s, and I’ve met several other people with the same story, so I’m a little amazed at how many kids are diagnosed long before that. What signs are their parents seeing that help them realize it might be OCD? Children with OCD may seek reassurance from parents repeatedly. They may want parents to participate in rituals such as bedtime rituals. In addition, parents may be asked to do daily laundry due to a child’s concern that his/her clothes or towels are contaminated. Parents may notice that it takes longer for their child to complete homework due to checking and repeating rituals (e.g., rereading, erasing answers multiple times, and rewriting answers). These behaviors can be clues to parents that their child is struggling with OCD. How can parents help their children through therapy? Most cognitive-behavioral therapists include the parent(s) in a portion of each therapy session so that parents can learn what skills are being taught to their child and what homework (exposure) assignments are being given each week. Parents can serve as coaches for their children in working on exposure assignments at home. I often tell people that in order to support someone with OCD they need to go against their normal instincts—that is, constantly reassuring the person that their fear won’t be realized actually isn’t helpful, and taking over their rituals for them is just another compulsion. Is this an ongoing struggle in families? Yes. Most parents who have a child with OCD “accommodate” to their child’s OCD symptoms. This means that they change family routines or interactions with their child in a way that allows the child to engage in the OCD rituals and they may participate in rituals with their child. Although this may seem to be supportive to the children, it is counterproductive in that it allows the children with OCD to continue engaging in their impairing OCD symptoms. People may be surprised to know that even young children can have taboo obsessions, including sexual, violent, and religious obsessions. What might you tell a parent who can’t understand why their child is having such intrusive thoughts? Taboo or forbidden thoughts are not uncommon in pediatric OCD. This may occur in young children and it happens frequently in adolescents with OCD. These thoughts do not represent your child’s true beliefs or values, but are a manifestation of OCD and should be viewed as “the mind playing a trick” on the child or adolescent. Antidepressant medications (such as sertraline) can be helpful in reducing the frequency and intensity of these obsessional thoughts. What do you think about the warning that antidepressants may increase suicidal thoughts in teenagers? What can you tell us about the safety and efficacy of these medications for children and teens? The risk of new suicidal ideation is 2% in children and adolescents with depression when taking an antidepressant. There is no increased risk in suicidal thoughts for children and adolescents with anxiety or OCD when taking an antidepressant. You’re currently conducting a study at the University of Minnesota in which children ages 8 to 17 take sertraline, the generic version of Zoloft. You take a brain scan (MRI) at both the beginning of the study, before the child starts the medication, and at the end. What differences between the two scans can you share with us? We have just published our first paper from the pilot data for our study. It shows that teenagers with OCD compared to matched healthy controls have lower connectivity (i.e., impaired connections between nerve cells) in the brain between the putamen (area in the basal ganglia) and parts of the frontal cortex and the insula. In our current study, we will be looking to see if we replicate these results and to see if these connectivity differences normalize after 12 weeks of sertraline. How can parents get their child involved in this study? We are looking for children and adolescents with OCD (ages 8-17) who are not currently taking antidepressants to participate in the 12-week treatment study with sertraline. Sertraline is FDA-approved for the treatment of pediatric OCD. Children will be compensated for the assessments and MRIs (noninvasive brain scans with no radiation) at the beginning and end of the study. All OCD participants will be seen regularly by Dr. Bernstein over a 12-week period for monitoring of the sertraline trial. Medication management appointments are free because the study is funded by the National Institute of Mental Health. Please call Elizabeth, the project coordinator, at 612-625-1632 to learn more about the study and to participate in a phone screen to find out if your child is eligible to participate. You may also visit our website. If you could offer just one piece of advice to a parent whose child has OCD, what would it be? Early identification and treatment are important to getting relief and remission of OCD symptoms. It will allow your child to get back on the normal developmental path. Welcome back to Tuesday Q&A! I admit the hiatus wasn’t exactly planned; life and the holidays conspired to throw me off schedule. I couldn’t be happier to kick off the New Year with this post from Denis Asselin, an amazing advocate who’s been working tirelessly and with compassion to spread awareness about body dysmorphic disorder (BDD) since his son, Nathaniel, committed suicide after struggling with the disorder for years. We all know how misunderstood OCD is, and it’s possible BDD is even more misunderstood. Denis is working hard to change that. His dedication is inspiring — and, honestly, he is so nice. Incredibly, genuinely nice. You can’t help but want to help him tell Nathaniel’s story and join his cause. I’m always amazed to see what a parent is capable of after the tremendous pain of losing a child. After your son, Nathaniel, committed suicide you took action. Since 2012 you have participated in your initiative, “Walking With Nathaniel,” walking thousands of miles and raising thousands of dollars to spread awareness of the illness that led to Nathaniel’s death, BDD. Tell us why. What does a parent do when s/he loses a child? Initially, cry a lot. What an incredibly sad event! Losing a child is the ultimate loss, and definitely not the natural order of things. The event and its repercussions were so significant. We were like ants at the base of Mt. Everest, required to climb to the very summit. I not only lost my personal and spiritual “equilibrium,” but initially I also lost a sense of purpose for living. As a father, I’m instinctually programmed to preserve and protect my children, and through no fault of my own, it felt as if I had failed in that critical mission. So what’s next when the void looms so large before you? I distinctly remember seeing myself at a junction, the intersection of two possible paths to take for the rest of my life — one was to inevitably fold into myself, live in constant self-pity, be perpetually grumpy, and see myself as the ultimate victim. The energy required in the choice of that particular path would be dark, negative, and all-consuming. My social arena would close and include no one else; I would be a hermit and I would yell and blame everyone for everything, consider the universe totally unfair, and spread an aura of darkness wherever I found myself. The other road led to slow and progressive healing, to an eventual reordering of my life with what is (not what should have been). Bitterness would eventually melt away, and new possibilities would slowly reveal themselves and emerge. I would slowly see beauty and light pierce the huge darkness and recognize once again the gift of possible life and living before me, rather than a death in life. That vision/possibility included a forward movement — first in small steps and then in bigger ones. To me, walking forward reflected that outward expansion and healing. After my wife, Judy, and my daughter, Carrie, and I returned from Spain where we had walked for three weeks on the Camino de Santiago after Nathaniel’s death, I felt as if I had more walk in me. Every time I took a step forward, I felt much better. At first I started to walk in circles (daily walks around the neighborhood) in wider and wider concentric circles. It was during those circular peregrinations that I hatched the plan to walk in a line rather than in a circle from our hometown (Cheyney, PA) to Boston, MA. I envisioned a new kind of “pilgrimage” à la El Camino, but here in the USA instead — a personal spiritual and physical journey of healing. I asked myself, “What would it look like to walk out my front door and go to Boston (the home of the International OCD Foundation), connecting along the way all the happy and sad chapters/places/events in Nathaniel’s life like dots on a trail map (where he was born, where he went to school, where he got his first job, where he died, where he was first hospitalized, where he stayed in clinics and treatment centers thereafter, where he had appointments with his doctors, psychiatrist, psychologists, and counselors)?” The imagined trajectory spanned 552 miles to Boston where he had spent an entire day in the Emergency Room at Mass General back in 2009 desperately seeking help because he couldn’t do “his life” anymore. I wanted my pilgrimage to end at the Boston harbor, at the water’s edge (just like Finisterre over the cliffs of the Atlantic in Spain at the end of the Camino). I would then face toward the east where the sun rises — again a symbol of an opening rather than a closure. That is how the Camino de Nathaniel was born and executed in 2012. Tell us about Nathaniel. What kind of kid was he? What was he passionate about? Nathaniel was an amazing human being. His spirit could fill the room, so could his physical presence — he was tall, handsome, fit, intelligent, highly responsible, sensitive, compassionate, loving, magnetic, funny, engaging, strong, athletic, generous, quick of mind, creative, energetic, positive, in brief a very old soul. I’m not saying this because he was my son. I recognized his incredible gifts and talents starting on the day he was born. He stared me in the eyes letting me know he was ready to journey forth. His close friends, Judy, Carrie, and extended family members would also describe him with the same litany of adjectives. Everyone loved Nathaniel. His force field was so strong. Everyone wanted to be his friend. Everyone wanted to be in his presence. Unfortunately, OCD/BDD slowly gnawed away at these incredible positive attributes during the long years of his illness. But even in the depth of his sickness, those deeply rooted qualities still radiated through in some recognizable measure. He was passionate about running, playing, and engaging in creative and imaginative games, staying fit, and doing his very best at all the time. When was Nathaniel diagnosed with BDD, and how did you realize something might be wrong? Unfortunately, the BDD diagnosis came much later during his 13-year illness, when he was 17. He was hospitalized at 11 for OCD behavior (but somehow the diagnosis seemed incomplete and not totally accurate). Then we began to see him spend more and more time in the bathroom grooming himself, worrying about flab on his tummy (there was actually none there) and imagined dark circles under his eyes, the placement of his hair, and the quality of his skin (any marks on his face would ruin his day and keep him in the bathroom for hours picking at it). He spent less and less time with his friends and worried more and more about his appearance and looks. He would look away and avoided eye contact. He shaved in the darkness in the bathroom, and returned repeatedly thereafter checking on imagined flaws on his face that he saw in the mirror. He literally got stuck in the mirror and the bathroom for hours on a daily basis. His social circle and connections began to get smaller. His social life slowly diminished. School became an issue. He would always overdo his assignments, not be able to live with anything less than perfection, and even be hard on himself for not knowing in advance what a teacher was going to teach him that day before s/he did. We had to withdraw him from formal schooling by his sophomore year in high school. The initial change in personality and in behavior came quickly at age 11 and then it was the unpredictable roller coaster ride up and down during the subsequent years as therapists, counselors, doctors, and we tried to understand what was going on with our dear boy/young man. Why do you think so few understand what BDD is? How would you explain it to someone who has never heard of it before? BDD is poorly understood because it hadn’t been recognized as a disorder until the mid 1980s. Katharine Phillips put the brain disorder on the map with her famous book The Broken Mirror. Everything she described in the text, Nathaniel had and had experienced. Although the disorder label was publicly available, very few therapists recognized its behavioral manifestations in their patients. If you were tall and handsome and beautiful like Nathaniel, would you feel comfortable announcing to others that you were obsessed all day with unrelenting worries about your looks? Folks would think you were vain. So, in general, sufferers tend to say nothing. They simply suffer in silence. Unlike the other OCD-related disorders, BDD self-awareness is rather poor. We now know that a BDD sufferer has perceptional processing problems, which accounts for the distortions described above. Nevertheless, what a sufferer sees, s/he totally and truly believes to be true. It is difficult for that person to achieve any level of objectivity. It affects up to 2% of the population. That’s a high percentage rate, yet mention BDD to anyone on the street, and you get a blank stare in return. Nobody seems to know it. Given the high suicide rate in the rank of BDD sufferers, we have a fatal illness on our hands, in my opinion. Medication dosage administered is usually twice as high in BDD cases than for the other OCD-related illnesses. Effective treatment protocol needs to be slowly and methodically administered if the sufferer is to experience any kind of relief. Of course, there are various levels of BDD illness. In hindsight, I think Nathaniel had the worst case of it. Although we sought the help and advice of the best professionals in the field, Nathaniel’s BDD progressed. There were some moments of hope for healing along the way, but the relapses were cruel and drove him even further down into the pit of despair. He could not imagine growing old with this impossible illness, and adopting a lifestyle that would require regular medication, counseling and, perhaps even occasional in-patient treatment as a tune-up. For Nathaniel, this was not a life to live for! How is BDD related to OCD? Do they share any treatment methods, such as therapy or medication? 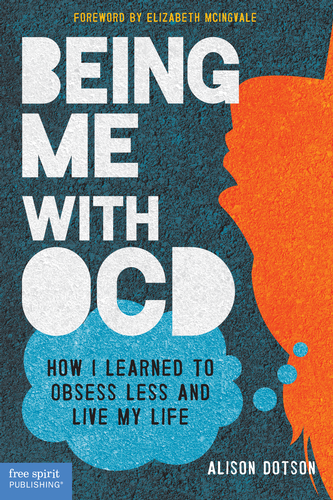 The obsessive behavior of BDD sufferers is similar to what we see in OCD. However, there are many differences. I do know that the SSRIs used in treatment for BDD are almost double in dosage for effective treatment than those used for regular OCD patients. Although there are day clinics and treatment programs specifically for BDD patients, those sufferers who need hospitalization or overnight surveillance are usually grouped with OCD-ers. Good BDD therapists would suggest that the treatment protocol be administered at a slower pace and that CBT treatment be more specifically tailored to this disorder. Of course, addressing the perceptional distortion remains key to healing. This would require visual retraining that works in tandem with the long-term behavioral restructuring required for control of unwanted thoughts. A BDD sufferer is anything but vain. H/she is a silent sufferer of his/her illness. The inner turmoil is constant and very unrelenting. Sufferers usually don’t dare to mention what’s on their mind 24/7. Why would they? No one would believe them based on what the observer sees. Reassurance given by others is only a temporary patch of relief. It never lasts long and only fuels the retched beast. Unfortunately, those who are rich and have the financial means have recourse to plastic surgery as a temporary solution to their angst. Unfortunately, those procedures only give temporary relief, if any. Think Michael Jackson — so many surgeries that eventually his whole face totally appeared distorted by those interventions. But he had the money to pay, and no doubt the plastic surgeons involved didn’t dare to question the patient’s motive to assess whether or not BDD was the root of the malaise. I’m so appreciative of Reid Ewing, the actor on ABC’s Modern Family, who recently came out and publicly announced that he suffers from BDD and that all the plastic surgeries he underwent did not help one bit. What is more worrisome, however, is that those same surgeons never dug deeper to discern whether or not he had BDD, a brain disorder. Now that’s really unprofessional behavior. It seems that people assume mostly women suffer from the disorder. Has anyone expressed surprise that your son had BDD? Good question. I think statistically the number is practically 50/50. Women and our cultural focus on women and fashion would suggest that BDD be more evident among females. However, muscle dsymorphia with men is gaining greater recognition these days — men who focus on their bodies, their physical build, their muscles, and their general appearance and body proportions. Our culture of aggressive advertisement that celebrates bodily perfection does not help the BDD cause, for sure. However, it was interesting for me to learn that there are even cases of BDD in remote villages in Africa where such cultural distractions and focus are absence or negligible. Check out Argentina where plastic surgery for woman is now a cultural phenomenon. How an Argentinian woman looks and the public and private discourse about her weight and size are quite disturbing phenomena, in my opinion. The culture is indeed playing a role in nurturing BDD. What advice do you have for my younger readers who may be suffering in silence? How could a teenager approach his or her parents for support — and what if parents don’t understand and refuse to believe there’s a problem? How can people get involved in spreading awareness? Getting the word out is not easy. If BDD affects 2% of the population, there is a good likelihood that someone in your life is impacted by this awful illness and is suffering immensely because of it on a daily basis. And worse still, no one knows! Check out our Walking With Nathaniel website. It is the personal story of one sufferer who did not deserve to suffer so cruelly. Let my awareness efforts inspire others to do something rather than feel victimized. Join the annual IOCDF 1,000,000 steps for OCD Awareness Walks in June. Can’t make it to Boston? Create your own awareness walk. No matter how small the team or the event, when you connect with other walkers physically or virtually, the community of supporters becomes larger and awareness grows incrementally, a step at a time. That is how all journeys begin and move forward. Moving forward beats staying still and stagnant. For me, it is definitely the ultimate balm for body, mind, spirit, and soul. If you could offer just one piece of advice to someone with OCD or BDD, what would it be? Please seek help! And remember, you are not alone! There are folks out there who want to help and can!